Over 50 rich choc chip cookies are squeezed into this very handy reuseable bucket. 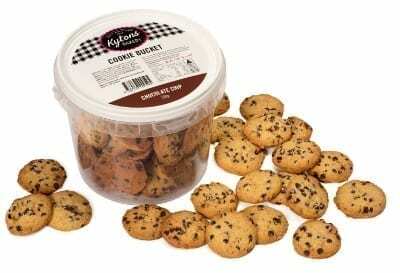 Kytons choc chip cookies are made with rich shortbread and lots and lots of delicious chocolate chips. Be warned though there may be family arguments over who gets the bucket when the cookies are finished!